There are a lot of factors when choosing the perfect location. The location of your wedding determines not only the mood but also the travel, time and budget required to pull it off. You want your guests to walk away from your wedding weekend saying, “That was so them!” Your wedding elements — not just location, but also activities and overall vibe — should say something about your personal style and your passions. Looking for upscale on the beach with a lot of nightlife, consider Cancun, looking for a 3 mile beach with some of the best resort food, think Jamaica. Or if you love outdoor adventures, consider Costa Rica, where guests can zipline through the treetops before the rehearsal dinner. Clients of mine usually have an idea of when their friends and family are most available for travel. I speak with a a lot of brides and grooms that like to follow a teacher schedule or we need to plan at least 10 months in advance for someone to get the time requested off. Other times, couples just want to get married and come to me for advice. Unfortunately, the best weather in popular vacation destinations tends to correlate with tourist season, when there are typically more crowds, fewer hotel and venue availabilities, and higher rates all around. If you choose to marry during high season, you’ll want to reserve hotel blocks and venues immediately and send out save-the-dates 10 to 12 months in advance so we can set up a great package for them. If you choose the shoulder season (right after high season), you may be able to save yourself and your guests some money and still enjoy great weather. While the off-season will mean fewer crowds, the weather can be iffy, and would require all guests to get the travel insurance just in case. I seriously can’t recommend this enough: Take at least one planning trip, if you can swing it. The couples that go down to the resort, experience the charter flight, take the same transfer company, and stay at the resort have a better grasp of what to expect for their wedding. Setting your expectations ahead of time is so important. You will meet with the wedding coordinator that will be helping you with the day of coordination. You can first hand pick your ceremony and reception locations. Meet with vendors. Hit the town and shop for favors. Couples will even find that they would like to compare resorts, so site inspections can be set up before you depart. It really relieves the stress of unknown and I highly suggest it. If done right, a destination wedding can cost no more — and maybe even less — than hosting the same party at home (depending on where you live, of course). Though please take into account that things may be a little different as to how they calculate the bill. Almost all catering menus as well as décor will add a tax and service charge for set up and rentals. 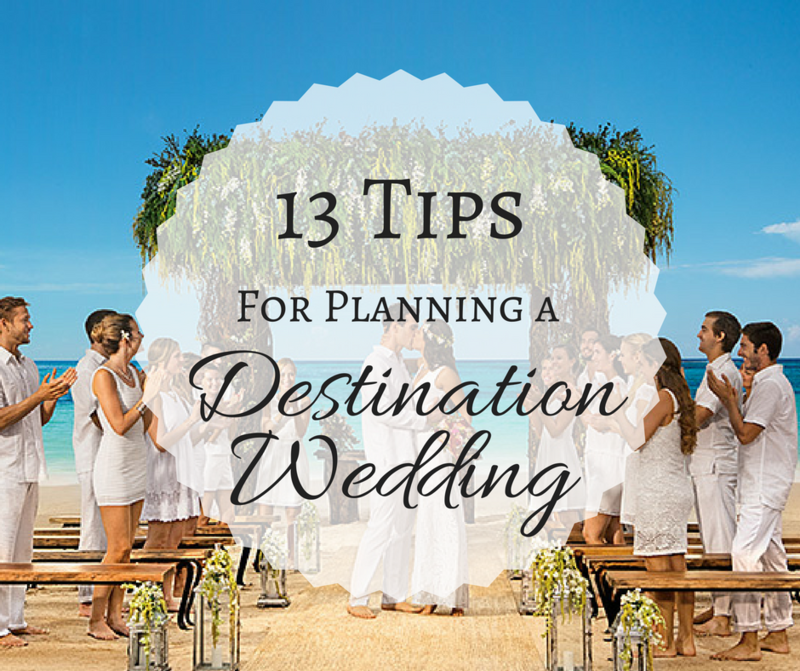 Don’t forget about tips for everyone that helped with your wedding onsite. As well as daily tipping to at restaurants and bars at all-inclusives. Trust me a dollar here and a dollar there will not break your bank, can make a world to someone else. The legal side of tying the knot in a different country can be complicated. 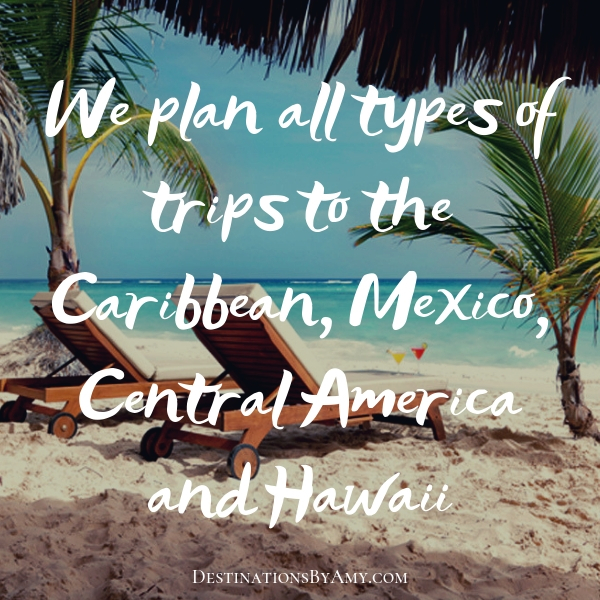 Many countries have a “residency requirement” (for example, 24 hours in Turks and Caicos and 4 days in Mexico), which means you must reside in the country for a certain length of time before your ceremony. Although this is usually just a few days, it can be longer. Many couples will decide to go to the courthouse prior to their trip to make it legal and then do a symbolic ceremony in destination. 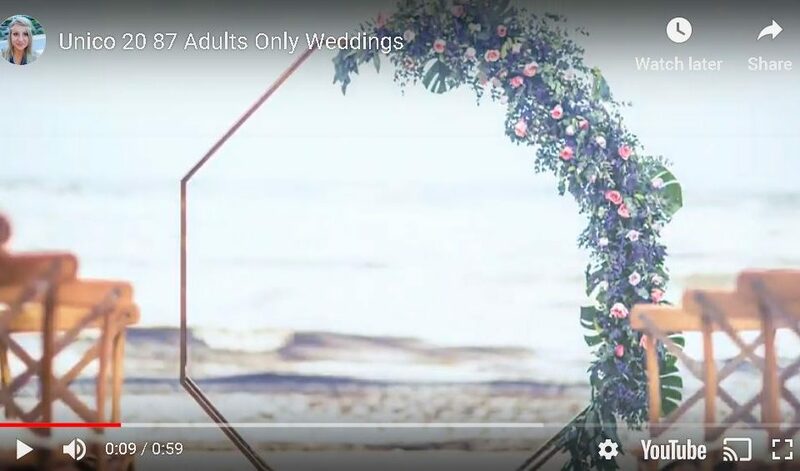 Control freaks, beware: If you’re hosting a wedding in a distant locale, you will need to entrust at least part of the planning to someone else’s capable hands. 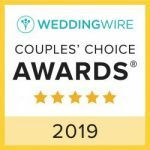 A wedding planner can shoulder the burden of researching and securing local vendors (especially valuable if said vendors speak English only as a second language), dealing with logistics like tent rentals and lighting and handling any last-minute fires that may start in the weeks leading up to the wedding. She is also the behind-the-scenes queen, creating gift bags for guests, greeting everyone at the airport, keeping people busy with fun activities once there, vetting special requests (babysitters, dry cleaners, and so on), and getting everyone where they need to be on-time. 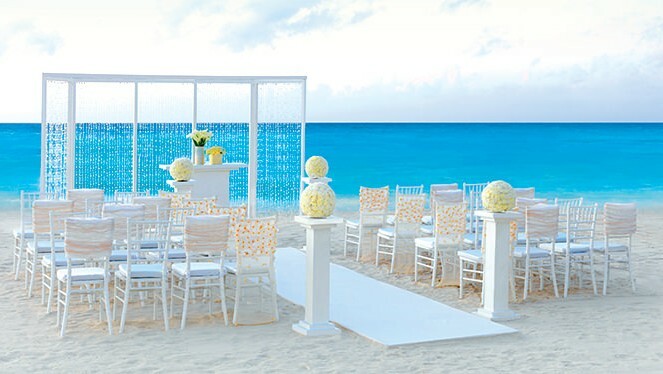 Many all-inclusive resorts include a coordinator in their wedding packages. I even know of resorts that allow for a completely free wedding and reception based on the number of rooms in your group. Don’t keep a constant eye on the clock. Remember that many tropical islands run on “island time” — things happen when they happen — so don’t mistake a vendor’s laid-back attitude for incompetence. Avoid the temptation to micromanage from afar. Schedule regular check-ins and then trust your vendors to work their magic. While you can view vendors’ portfolios online and check references from afar, it’s especially important that you’re comfortable with all your vendors. You’ll be leaving a lot in their hands, as you won’t be able to be nearly as hands-on, so it’s important you trust those hands are capable. That’s why we strongly suggest making at least one planning trip to meet with potential vendors. If you must hire your vendors unseen, schedule a video chat so you can get a sense for a potential vendor’s demeanor and personality before you sign a contract. Your wedding planner can meet with potential vendors on your behalf and brief you on your options, as well. Another option: Bring pros you trust from home to handle critical aspects such as the wedding photography, hair and makeup, and design (lighting, flowers), and even work with local vendors in a supervisory capacity to avoid any communication mishaps. Just remember: You’ll have to cover their travel and lodging expenses. 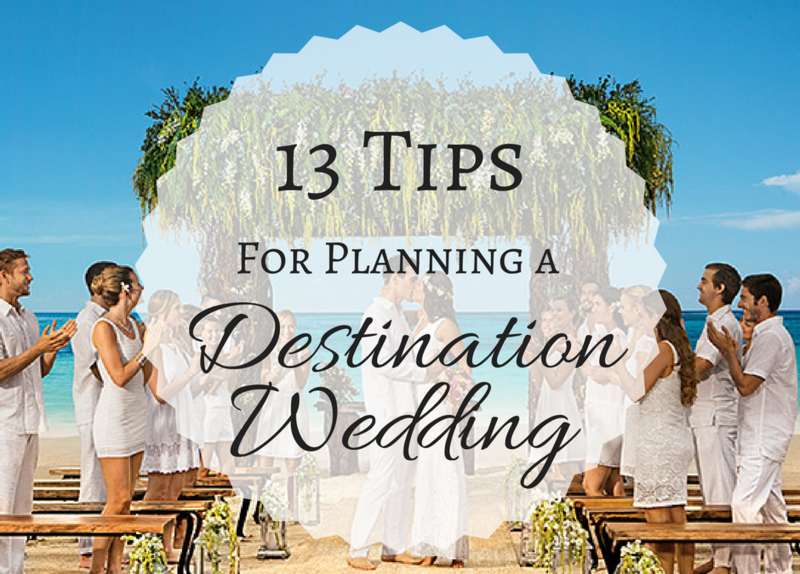 Tell your bridal party about the destination before you ask them to stand by your side so that they can gracefully decline if finances are tight. Don’t be upset if some of your closest friends or relatives don’t attend. 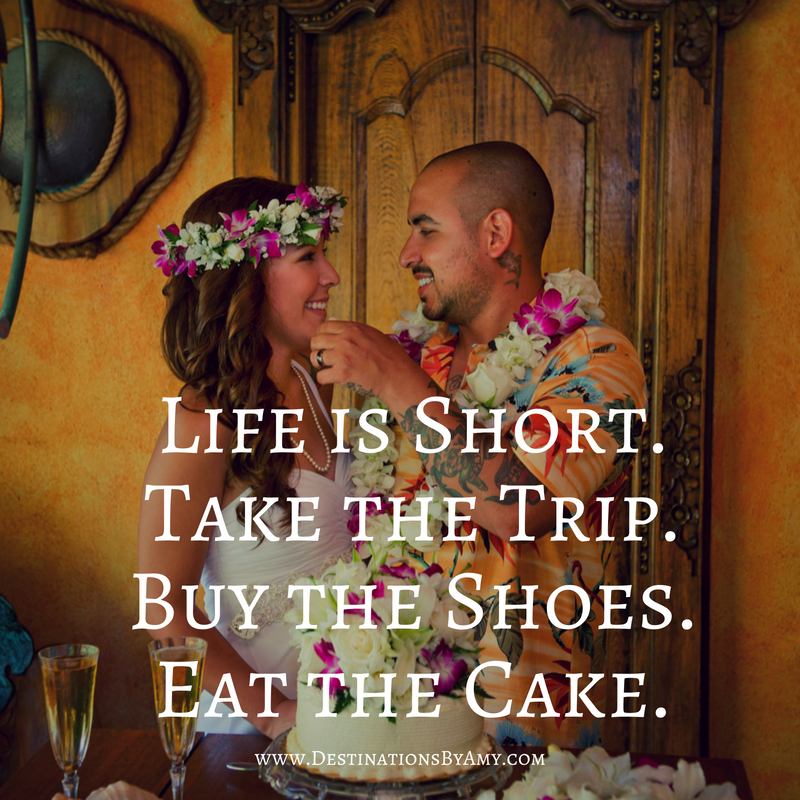 And while your wedding is a mini-vacation for you, it may not be the one they want to take! Having a well organized trip makes for happier friends and family and eases all the stress. Let your guests know that you have worked hard with a Wedding Group Travel Specialist to set up all the details and to book with the group. This way everyone wins! The group earns the comps and your group’s travel is monitored by a professional. Don’t just assume that the weather in the Caribbean, Hawaii and Mexico is gorgeous year-round. Hurricane season lasts from July through October in the Caribbean and can put a major damper on your nuptials, while rainy season makes marrying in Hawaii dicey from November to March. Make sure each of your guests has a travel specialist that can help them make their travel plans. Also, utilize the provided Personalized Wedding Webpage to highlight everything the trip will have in store including distance to the airport, information specific on the resort, type of rooms in the room block and an easy way to book. Destinations by Amy provides invaluable travel tips before departure and are a quick phone call away when in transit. Once on property you can offer welcome bags to be included in the rooms or at check in. Pack some fun items to share like sunscreen and an itinerary of events for the week. 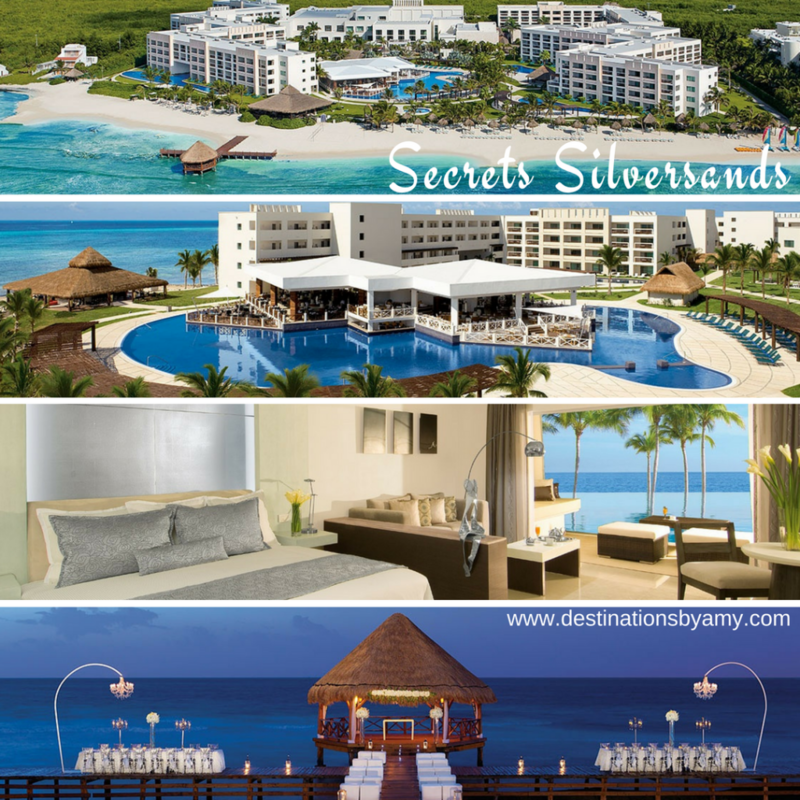 You can informally set up non-private meet ups all over the resort that guests are not obligated to attend. That beaded pink dress on the right is under $300 and is absolutely gorgeous. With all the beading work I thought I was going to have sticker shock. 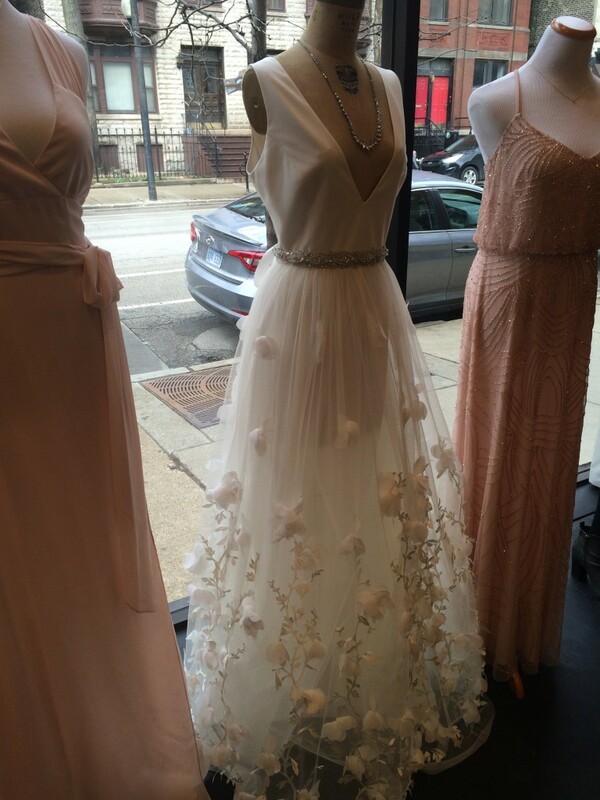 All three would make amazing bridal gowns for a Destination Wedding. Don’t forget to consider the climate when choosing your wedding dress — and deciding on everyone else’s attire. You’ll be swimming in sweat if you pair your fairy-tale satin ball gown with tropical humidity, and asking your groomsmen to wear tuxes in the sun and heat is just cruel. Also, if you’re exchanging vows outside, you may want to reconsider a long train that will easily get muddy or grass-stained or three-inch heels that will stick in the mud. 13. Get a Move On It Already! Not to stress you out, but if you are specific in what you want, the best stuff fills up first. No worries if your wedding isn’t until 2018. Now is the time to get your date set and secure your room block. You can lock in on this years rates and contracts can be negotiated again prior to 120 days prior to departure. 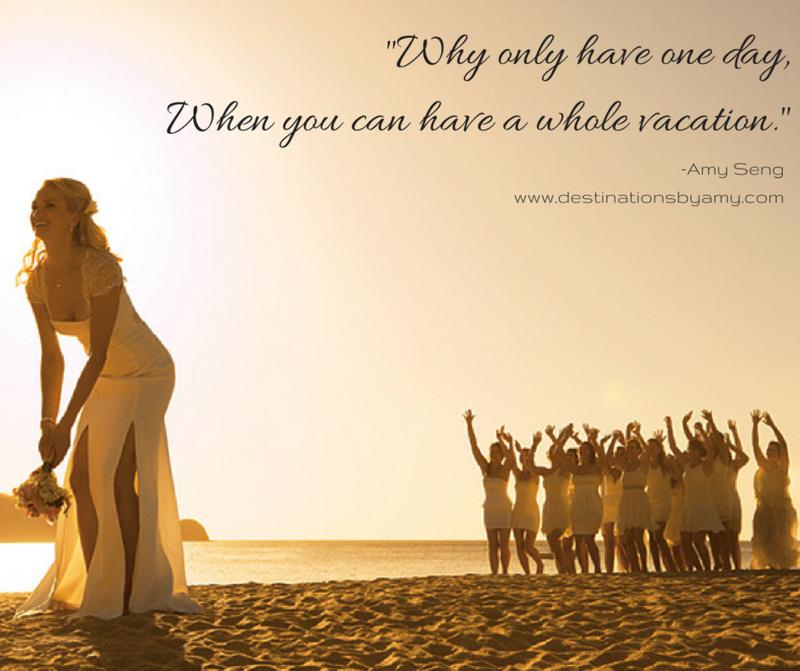 Let Destinations by Amy help you choose your destination, perfect resort, set the date, put together a Personalized Wedding Webpage, Electronic Save the Dates, and all the leg work of managing all of your guests travels. Contacting us will be the best decision. Leaving you time to enjoy the wedding planning. This is an exciting time and you can’t do this all on your own. We are happy to help! 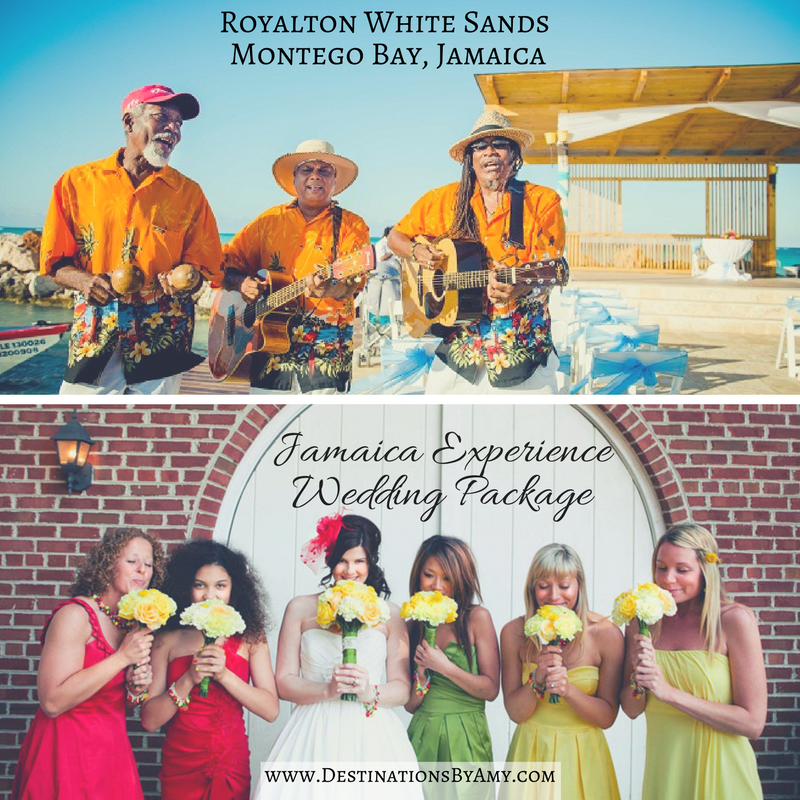 We plan more than just weddings and honeymoons! We ​look forward to working with you! © 2009 - 2018 Destinations by Amy. All rights reserved.